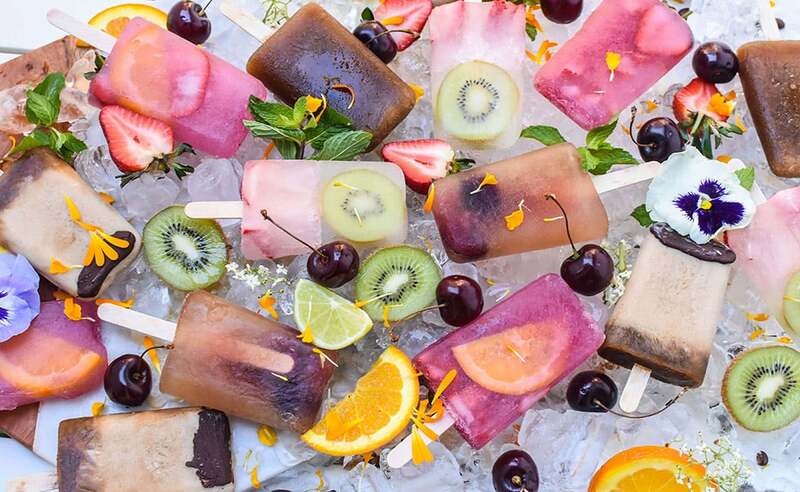 Boozy popsicles are the best way to get through a warm summers day, so I put together these new frozen cocktails and wanted to share them with you. I took some of my favorite summer cocktails and mixed them up in batches and mixed them with some less traditionally summer concoctions. Recipes are per popsicle and the method is at the end.